LA electro rockers Funeral Party stop by NYC to perform. 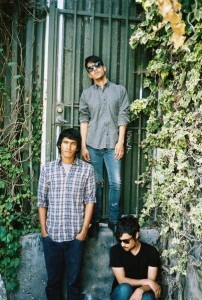 With a new album releasing early next year and some buzz, this could be one of the bands to watch in 2011. Catch them before they break. Joining them are New Politics. For dinner, The Stanton Social has earned a reputation for being a beautifully designed restaurant/lounge while serving up some delicious multi-ethnic cuisine. For drinks, a favorite of mine is The Magician, this bar’s chill atmosphere just may be the cure for a well-earned night of rocking. A great way to end the night? Stop by The Pink Pony. This boho café has been serving French food and coffee since the 80s and has a relaxing vibe. It’s as punk as that neighborhood gets nowadays.